Under Construction. Welcome to River Club! 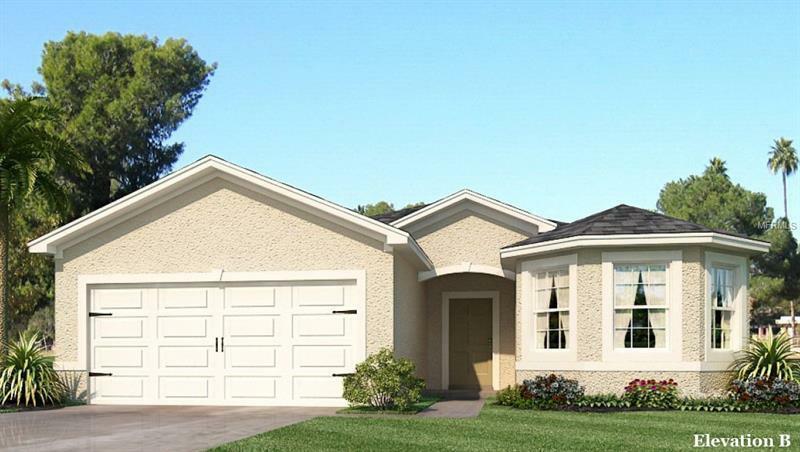 This intelligently designed, 3 bedroom 2 bathroom 1756 square foot home is nestled in a beautiful, worry free-gated community in a perfect location. Enjoy COMPLETED amenities including a fitness room, poolside playground and a beautiful lakeside pool. You will fall in love with this home from the moment you step into your foyer. Once there you will be drawn to the open concept living area where a sizable living room sits off the kitchen, complete with all of the necessities, including an expansive pantry. Enjoy your move in package including a brand new dishwasher, range, Moen faucets, microwave and garbage disposal. Guests will enjoy lounging under your covered lanai boasting a beautiful view of the open pasture right in your backyard. The secluded ownerâs suite features a large walk in closet, dual sinks and shower. Rarely do you find new construction in an established community like this. The HOA INCLUDES lawn maintenance, giving you plenty of time to enjoy all that Southwest Florida has to offer. Our homes are quality built with a 10 year structural warranty energy saving features, giving you peace of mind! * Photographs, colors, features, and sizes are for illustration purposes only and will vary from the homes as built. Pet Restrictions: 2 dogs and 2 cats OK. Copyright © 2019 Mid Florida MLS. All rights reserved. The data relating to real estate for sale on this web site comes in part from the Internet Data Exchange Program of Mid Florida MLS. Information provided is for consumer's personal, non-commercial use and may not be used for any purpose other than to identify prospective properties consumers may be interested in purchasing. Winkler Realty Group participates in the MFRMLS Internet Data Exchange (IDX) program, allowing display of other MFRMLS broker's listings on this site. However may not include all listings currently available. Information is deemed reliable but not guaranteed. Information last updated at 2019-04-18 05:51:20.